Half-pound, highest quality, lean ground beef hand patted into the juiciest burgers we can make! Not in the mood for a burger? Try one of these delicious, freshly made specialty sandwiches. 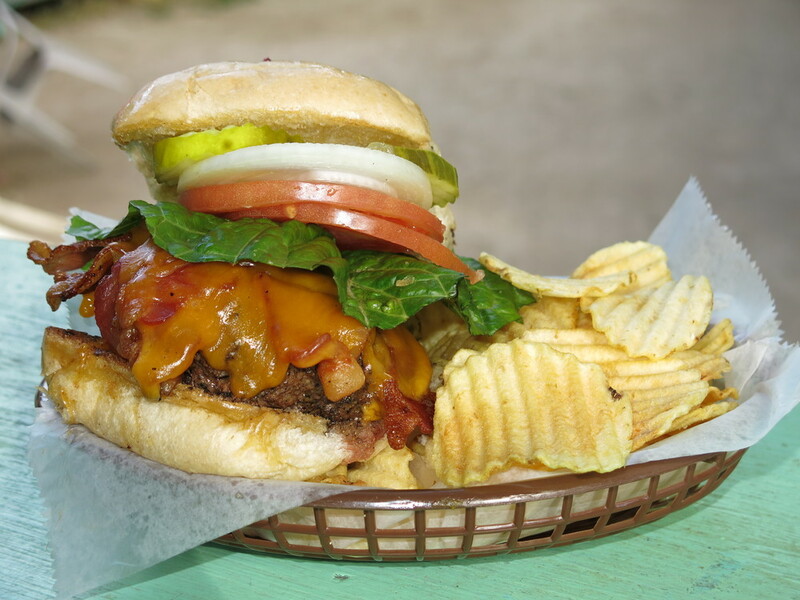 Burgers and Sandwiches are served on a locally made hamburger bun, or rye bread, with lettuce, tomato, onion, dill pickle and potato chips On The Side. We proudly have no deep fryer! Looking for something a little lighter? Try one of our fresh, over-sized salads. Choose from: ranch, 1,000 island or homemade vinaigrette or blue cheese dressing. Enjoy a house-made treat to satisfy that sweet tooth! Cool off with a refreshing libation! 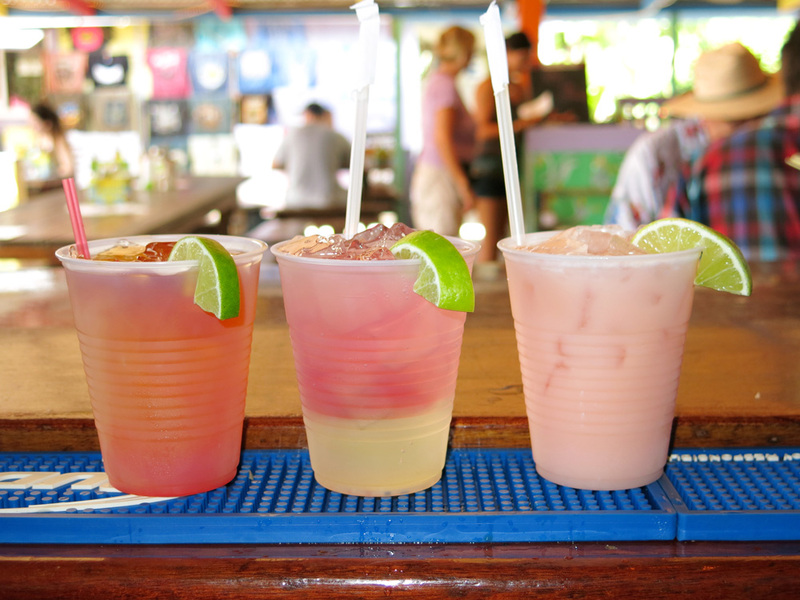 Our mixed drinks are shaken, not blended. We are a proud blender-free zone — but with drinks like these, you won't miss it!